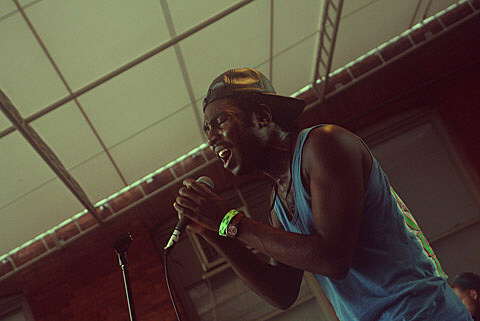 One of the many casualties of Irene was the free Spotify-sponsored CANT/Blood Orange show that was supposed to happen at Mercury Lounge on Sunday. Luckily that show had no trouble rescheduling and will now take place this Tuesday, August 30th. Doors for the free late-night show are at 11:30pm. Expect CANT to hit the stage around 1am. As previously mentioned, this will be CANT (aka Chris Taylor of Grizzly Bear)’s NYC live debut. CANT’s debut record, Dreams Come True, is out on September 13th on Chris’s own Terrible Records. You can listen to two songs, “Answer” and “Believe”, now on Spotify. The last free Spotify show featured The Suzan, Exitmusic and a headlining set by Oberhofer who, in addition to having a bunch of songs streaming on Spotify, also made a Spotify playlist that you can listen to if you have the application. Oberhofer’s next NYC appearance has also been announced. Catch them opening for Les Savy Fav, along with Chron Turbine, at Music Hall of Williamsburg on Tuesday, September 6th. Tickets are still on sale. You can also catch CANT at Music Hall of Williamsburg, but only DJing, on September 13th. CANT and Blood Orange head out on a tour in October that hits Bowery Ballroom on October 25th.